But you may have already seen his work around the web. His photos have been featured on the web pages of Sky & Telescope, NASA / JPL, Space Weather, Phys.org, AccuWeather, NBC News, United Press International, and The Federalist — as well as in the Lowell Observer printed newsletter. He favors Tele Vue equipment for his comet work. “The Tele Vue brand has always stood out above the others in my mind. Ever since my first view through a Tele Vue 9mm Nagler back in the 1980’s, I have been hooked on Tele Vue Optics equipment! My main reasons for choosing the TV-85 was seeing the great images taken by others using this scope and the reputation of Tele Vue as one of the best manufacturers of eyepieces and APO refractors in the world. 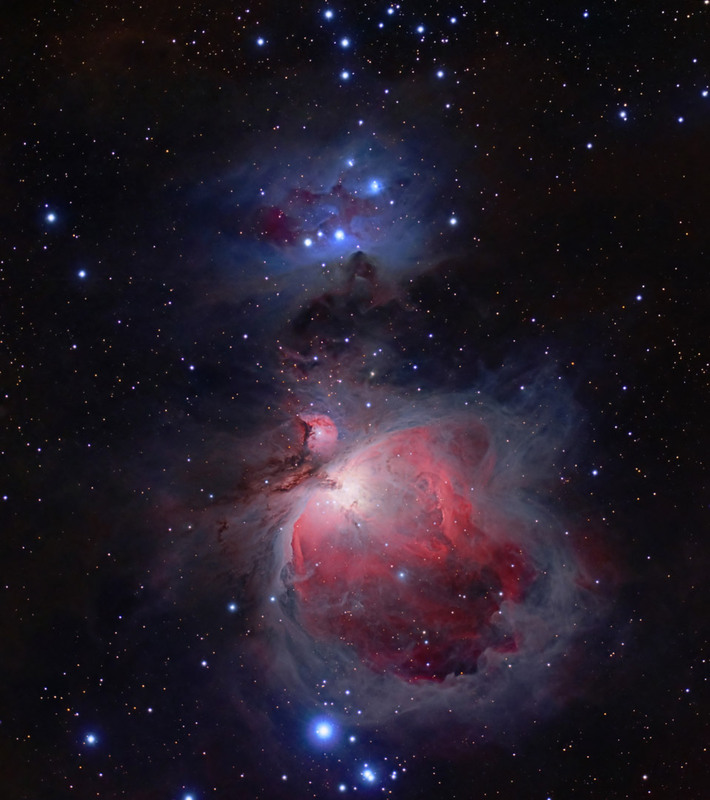 “The Ongoing M42 Project” by flickr.com user Mike Broussard licensed by All rights reserved. 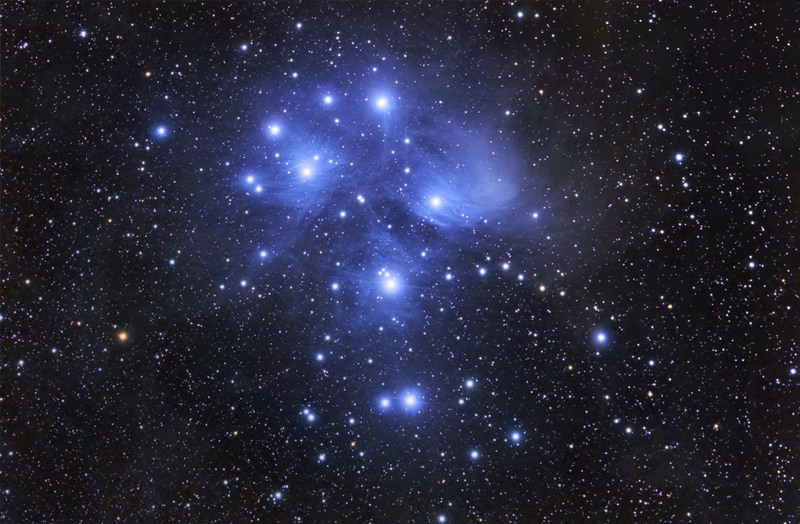 “The Pleiades, Feb 2017 Version” by flickr.com user Mike Broussard licensed by All rights reserved. 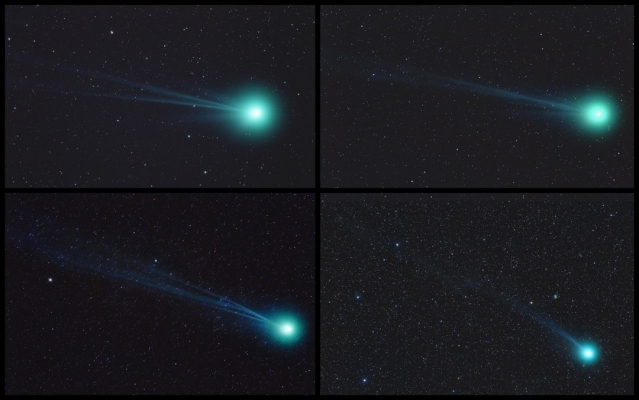 Composing his images from a stack of short exposures, Mike will often feature two images of a comet. One that stacks the exposures to follow the motion of the comet (stars trail) and another stacked to follow the motion of the stars (stars freeze). Besides comets, he rounds-out his Tele Vue-85 efforts with nebulae images such as those shown here. Tele Vue designs, assembles, and tests all of its refractors in its Chester, NY facility. 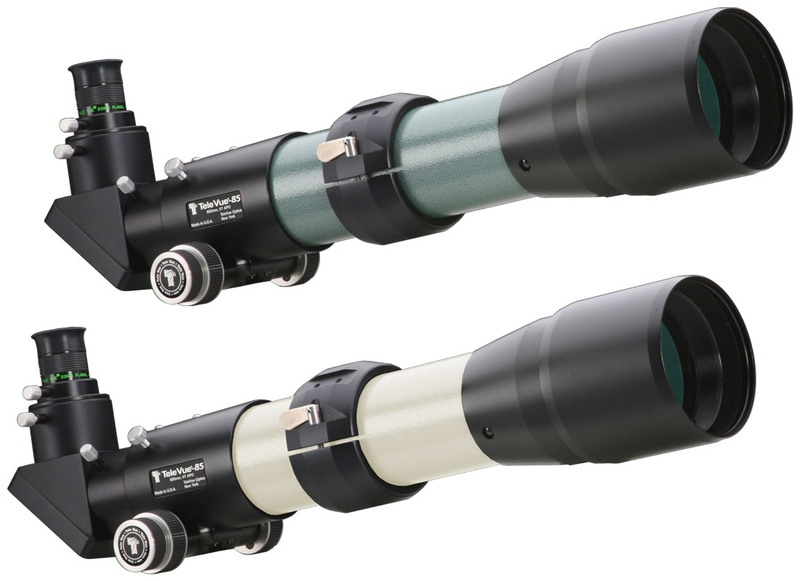 The Tele Vue-85 refractor has an 85mm aperture doublet objective featuring apochromatic color correction. The focal length is 600mm resulting in a relatively fast f/7 focal ratio. With APO performance and airline portability, the Tele Vue-85 has been delighting astronomy and birding enthusiasts, and reviewers alike. Maximum visual field is 4.4° (with our 2″ 55mm Plössl or 41mm Panoptic eyepieces) maximum recommended observing power is 225x. Available in ivory or green. Includes: sliding metal dew shield, screw-on metal lens cover, tube ring-mount with mounting threads, 2″ Everbrite (99%, 1/10-wave) mirror diagonal with brass clamp ring, Focusmate 10:1 dual-speed focuser, 1¼” eyepiece adapter with brass clamp ring, 20mm Plössl eyepiece, & soft carry case. 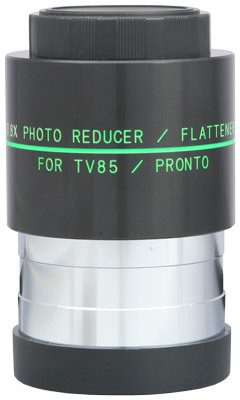 Model TRF-2008 0.8x Reducer/Flattener can be used with any 400-600mm refractor with 2″ focuser and T-ring accessory. It is the simplest way to start in astrophotography with your scope and an interchangeable lens camera. (It can also be used with other cameras as long as spacing from the chip to the TRF-2008 is set to 56mm.) It converts the Tele Vue-85 to a 480mm, f/5.6 telephoto lens for fast, flat field photography. “This accessory is a must-have for someone planning to use the TV-85 photographically,” said the review in Sky & Telescope. 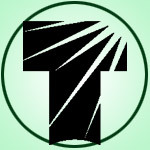 Mike’s Astrophotography Gallery & Blog.